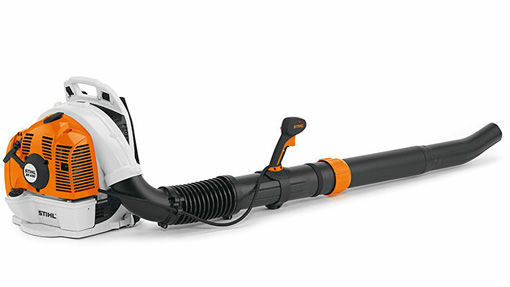 Powerful blower with adjustable blower tube and tool-free handle position adjustment. Perfect for conveniently removing lawn and hedge trimming, leaves or debris on large areas. Soft grip, STIHL anti-vibration system, wide shoulder straps, STIHL ElastoStart, 2-MIX engine, easy start logic, infinitely adjustable throttle with stop button and carrying handle.